It's useful to know some English idioms. The above downloadable printable is recommended for high school students and adults at Pre-intermediate (A2) level. 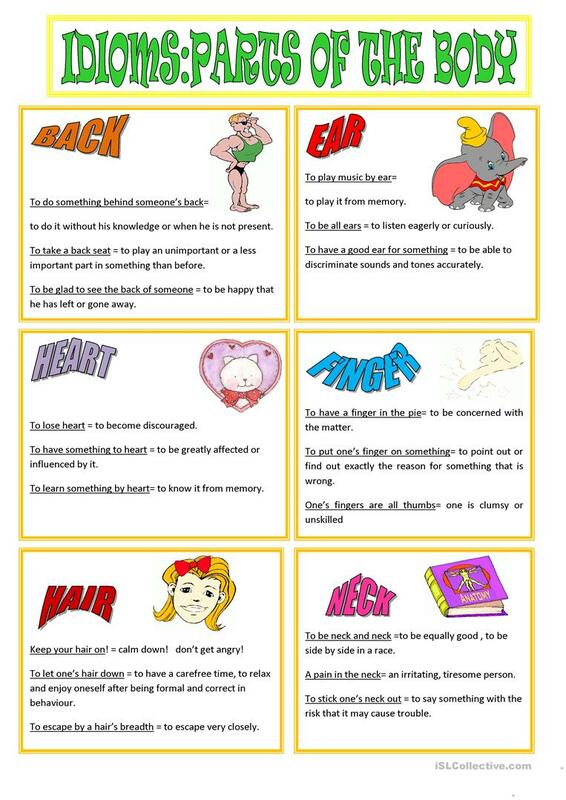 It is about the vocabulary topic of Idioms.